One thing a lot of cats don't know about me is that I spent every summer from the 4th grade to 8th grade ('84-'88) with my cousins in Ft. Greene, Brooklyn. So I used to always hear how non existent Philly hip hop was. And as I got older it just turned into how wack Philly hip hop was. At least by the time I got to high school Philly had more of a "harder" sound with Steady B and Three Times Dope so I could stick out my chest a 'lil more but it wasn't until I got to college and The Roots dropped their sophomore album "Illadelph Halflife" that my NYC peoples FINALLY gave Philly some props. In '97 after I graduated from Morgan, Philly all of a sudden became a musical hotbed for not only R&B (Jill Scott, Musiq, Jazzyfatnastees, Kindred, Jaguar Wright, DJ Jazzy Jeff's A Touch of Jazz Production crew) but once Roc A Fella gave us the cosign with Beans, Freeway and State Property we became the jump off spot for hip hop too! So with Beans & these dudes, now I could REALLY stick out my chest with anybody talking sideways about Philly. Especially with the Broad Street Bully cause when Beans is on...he's on. And trust me when I say I was giving my NYC peoples the business when Beans was giving it to Jada during their little back and forth too. Now, at first I didn't mess with Free like that especially after my dude gave Cassidy gave it to him in their battle but over time I started feeling dude. So the other day, my dude asked me who did I think has been holding for Philly over the past 10 years and the first names that popped in my head was Beans and Free. 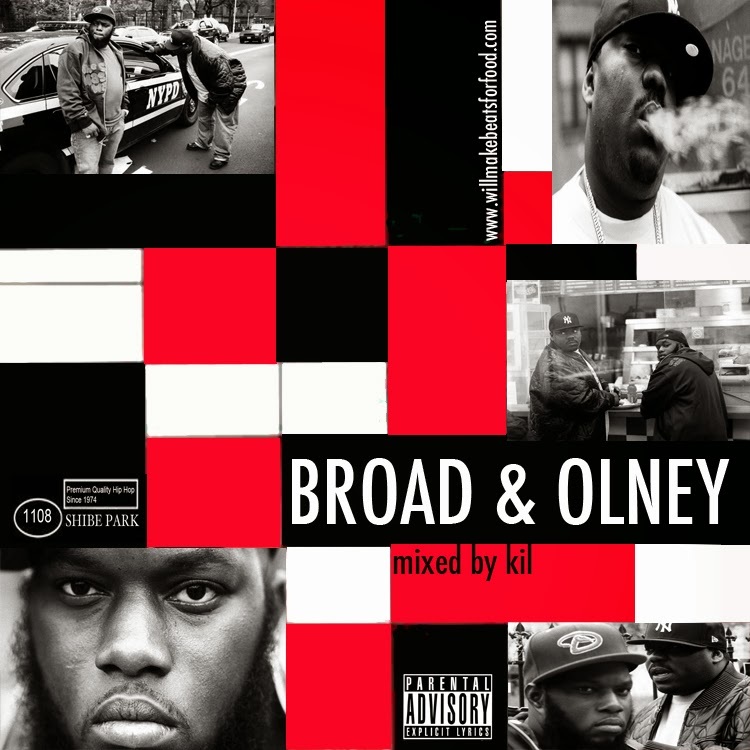 So with that said I had to throw together this best of Beans and Freeway mix and I decided to call it my Broad and Olney mix which are two streets in Philly that make up one of our major train/bus stops. And if you grew up and Philly, I'd bet money you spent a lot of time at Broad & Olney. Whether it was catching the Orange Line to go downtown, trying not to get robbed (cause I can't even begin to count how many beat downs and robberies I saw at B&O) or just trying to scoop a fly jawn from Girl's High, Broad & Olney was mos def a Philly hot spot. So it only made sense that I named this mix of two of Philly's finest after one of my favorite hangouts at the crib.